By now you know that I wanted to be a missionary. I was beyond thrilled at the idea of joining the King’s Overseas Service. What an honor. But He had other plans. I dreamed of Africa in The Valley. I had visited and been invited to move to Burundi permanently and I was 4 days away from asking my Oregon church to send me but then something exploded in my head and left me for dead. But I didn’t die. I wept in my sleep. I saw the children I had met at School. And their singing haunted my dreams. Burundi has a chilling history of violence, and the Johnson family has served the people there for generations. The Burundians respect and love them bc they stayed when they didn’t have to. Among the many ministries that Jesse and Joy Johnson (3d Gen) are involved in is the Discovery School – they make top quality education available to a population who would never have had access to it. They started 10 years ago with 80 students and a dream. Now they have over 1000 students and they are growing. It’s no longer a dream – it’s happening – they are sharing the Good News, employing those who were hungry, and raising the standard of education. They have the opportunity to impact the entire country of Burundi. Now it’s time to Build the Future. But in order to BUILD HOPE you have to meet Basic Needs. Discovery School needs a septic system to service 38 new restroom stalls on 4 floors. They are only building 2 floors first, but they need to to build the entire septic system. Total cost = $15k. Agenerous matching gift is in effect from Feb7-Mar 22. Every dollar donated will be matched up to $7500. That’s right – the cost just got cut in half. Discovery School is unique in that it offers Special Ed so kids with learning disabilities can succeed, too. They also serve kids with physical disabilities. One student, A, cannot make the walk to the existing restroom. His friends used to carry him on his classroom chair (hence, Operation Lift). This is no longer an option. They need new bathrooms. The first dream I had after I knew I couldn’t walk was that I was able to make it to the bathroom on my own with a walker. When I first experienced leg pain after learning to walk I didn’t drink any water for a week so I wouldn’t have to walk to the potty. I was too scared. And when I first went back to church I only stayed for one meeting bc I didn’t know how to fit my wheelchair in the restroom. Restroom access is a very real concern in my world – but it’s a problem that can be solved at Discovery School with your help. PLEASE. Click HERE to donate now. Your gift is matched $ for $ through March 22 and is tax deductible. 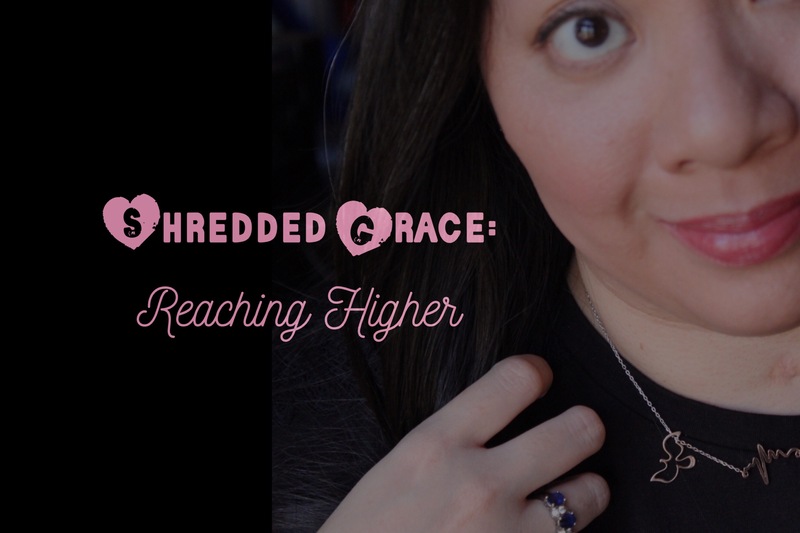 Or you can go to ShreddedGrace.com and click on the Discovery School Eye.